A simple iron catalyst can replace costly ruthenium in a reaction that can be used to generate diverse libraries of complex organic compounds, three researchers at Keio University have shown1. This finding promises to make it cheaper to produce complex organic molecules such as organic electronic materials and therapeutic drugs. Organic molecules consist mainly of carbon and hydrogen atoms plus a few other 'heteroatoms', such as nitrogen, oxygen or chlorine. Chemists have traditionally exploited the reactivity of these heteroatoms to build complex products from simple starting molecules. This approach, however, can require long sequences of reactions to install the correct set of heteroatoms for a particular conversion, making synthesis expensive and time consuming. A more efficient way to make organic molecules is to directly manipulate a molecule's carbon–hydrogen bonds. Known as carbon–hydrogen bond functionalization, this reaction involves breaking the bond between carbon and hydrogen and then swapping the hydrogen with another element such as carbon, oxygen or nitrogen. But because organic molecules typically contain many such bonds, it is difficult to selectively trigger a reaction at only the desired carbon–hydrogen bond. One way to achieve this selectivity is to use a catalyst, but these are often expensive precious metals such as rhodium, palladium or ruthenium. 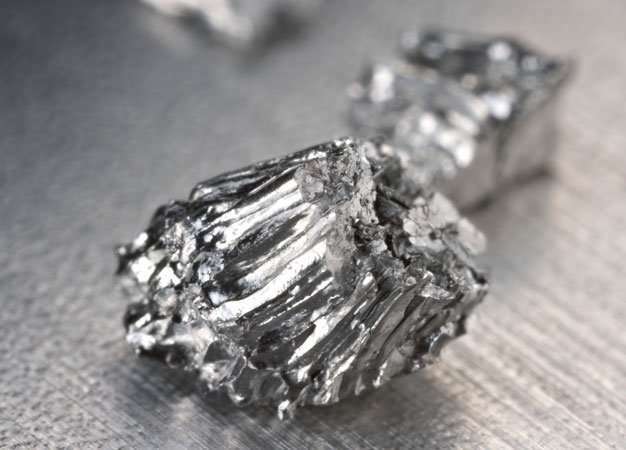 There is thus a strong push to replace these precious metal catalysts with cheaper catalysts made from inexpensive, abundant metals such as iron. Now, Fumitoshi Kakiuchi and co-workers Naoki Kimura and Takuya Kochi at Keio University have shown that a simple iron compound catalyzes the carbon–hydrogen alkylation of aromatic ketones with alkenes. The iron compound does this by bonding to the ketone group of the aromatic ring, which directs the incoming alkene molecule to attach to the adjacent, 'ortho' position of the aromatic ring. The trio showed that a wide variety of alkenes can be used for this reaction. Previous research had suggested that iron could drive this transformation, but the iron was consumed in the process. "These precedent stoichiometric reactions gave us hints to develop iron-catalyzed ortho-selective carbon–hydrogen alkylation of aromatic ketones with alkenes," Kakiuchi explains. The next frontier of carbon–hydrogen functionalization reactions is to develop 'regioselective' catalysts that selectively target a particular carbon–hydrogen bond without needing a directing group such as a ketone. "Regioselective carbon–hydrogen functionalization of aromatic compounds without using a directing group is still quite difficult," Kakiuchi notes. "We intend to develop this type of regioselective carbon–hydrogen functionalization using additives or ligands."